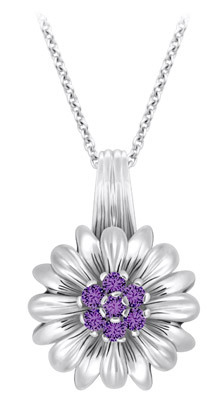 This beautiful TruSilver large flower pendant has seven 2.5mm amethysts set in the center. Pendant comes on an 18 inch, 2 mm sterling silver cable chain. Part of our new designer line, this pendant has a matching ring and earrings.